You can probably find this party game for Christmas everywhere on the Internet but what I like is the discussion applications to help break the ice for some great faith oriented conversations over the eggnog or punch. Name of Party Game: Christmas Forward and Backward. When I played variations of this Christmas Party game during other seasons, I called it Move to the Left or Right. How to play: Move forward or backward depending on the criteria that is called. If someone is already occupying that chair, sit on their lap. 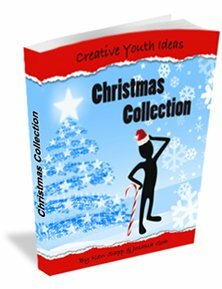 The actual resource of Christmas Party Games for Youth (read my review of Christmas Collection from Creative Youth Ideas) suggests 30 different criteria for this Christmas party game. That should be enough to stir your creativity for more. This party game for Christmas can be a great ice breaker to start future conversations later over that bowl of eggnog. 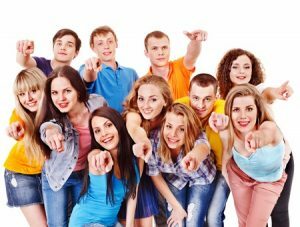 Your guests might volunteer with you 1-1 where they would like to grow spiritually later that year. Read more about the resource of Christmas Party Games for Youth.